Many also believe that the United States has become less Christian, and that we have begun to lose God’s blessings as a result. How do most American Christians respond? By fighting to keep the blessings, rather than fighting to make America more Christian again. We spend far too much time and effort fighting politically to keep the blessings. We spend far too little time and effort fighting spiritually to turn Americans’ hearts and minds back to Jesus. And, I believe the idolatry of believers, not unbelievers, is why God is withdrawing His blessings. 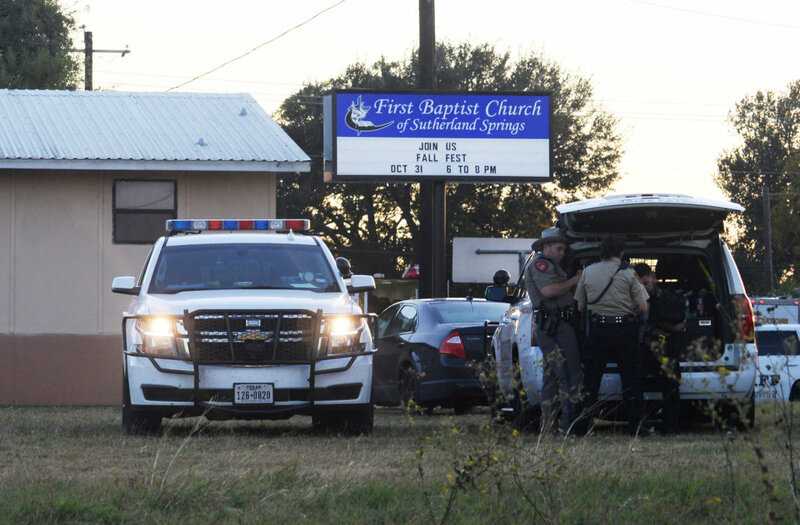 Yet another mass shooting, this time, in a church in Texas. Why? 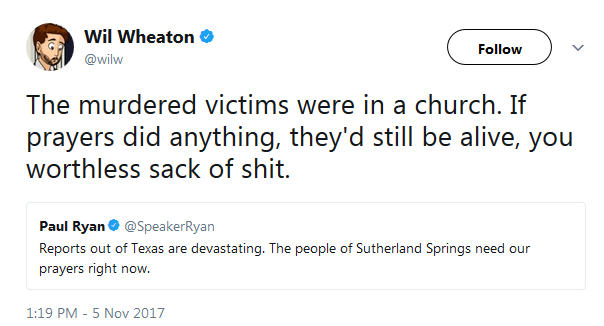 The left blames guns. Most on the right have no answer, although Trump says it’s a mental health issue. I say it’s a worldview issue. These mass murderers are simply being consistent with their beliefs. Many people dehumanize the unborn, the poor, minorities, the disabled, and the elderly, then we wonder how mass murderers can dehumanize their victims. For the last nine years, we have had Presidents that have preached division, and then we wonder why there is so much division and hatred. We teach children that humans are simply highly evolved pond scum, accidents of nature, then we wonder why mass murderers have so little regard for the value of human life. We have banned any discussion of God from schools and government, then wonder why mass murderers have no regard for God. 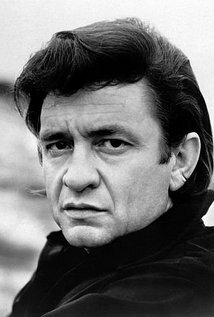 Our music, movies, and video games glorify violence, and then we wonder why mass murderers have such a callous view of violence. We teach that morality is whatever we choose it to be, that right and wrong are relative. Then we wonder why mass murderers choose to believe that killing is acceptable. As a nation, we once held God in high regard. Now, we openly mock God. We ridicule people of faith. Most churches reject the idea that the Bible is the inspired, inerrant Word of God. They follow the parts they like, and “reinterpret” the parts they don’t like. Very few in America today strive to live lives of obedience to God’s Word. Then we wonder why God doesn’t protect us. We don’t make the connection between our rejection of God and God’s rejection of our nation. As long as America continues to devalue human life, preach division, glorify violence, teach moral relativism, and mock God, we will continue to have more sick individuals that have no regard for human life, hate people, and believe it is acceptable to use violence to act out their hatred. They are simply behaving in a manner that is consistent with what they have been taught to believe. It’s not a gun issue, and there is no political solution. It’s a spiritual issue, and needs a spiritual solution. The problem is that American society has rejected God. And, when people believe God is irrelevant, right and wrong become irrelevant. The culture teaches that it’s OK to murder unborn people, and then we wonder why people think it’s OK to murder other people. The culture teaches that human life is the result of a cosmic accident, and then we wonder why people don’t value human life. These kinds of horrific incidents will continue to escalate until America repents and turns again to Jesus Christ. And, America will not return to Christ until American churches start taking the Bible seriously as the Word of God. It doesn’t look like this will happen any time soon, though. The left is blaming guns. The right is blaming the left. Nobody is looking in the mirror and placing the blame where it belongs. And nothing will change until we do. I think the problem is usually the opposite. Too many Christians – myself often included – are too earthly minded to be of any heavenly good. We get caught up on social media with who should or shouldn’t marry whom, who should or shouldn’t own guns, who should or shouldn’t be allowed to enter the country, and who should or shouldn’t be President. We are so busy telling people how we should fix this broken, temporary world that we neglect to tell others how to become part of the eternal kingdom of Jesus Christ. Abortion, racism, sexuality, poverty, violence, politics, immigration, health care, taxes, the economy… Yes, they are all important. But they’re all temporary. When we die, they no longer affect us. When our children and grandchildren die, they will no longer affect them. All that will matter when we die is whether or not we have received Jesus Christ as Savior. It’s simple: If a person has accepted Jesus Christ as Savior, their sins are forgiven, and they spend eternity in Heaven with Him. If a person has not received Christ as Savior, their sins are not forgiven, and they spend eternity in Hell away from Him. And it’s not just after we die; If a person has Jesus, they have the Holy Spirit now to help them through this mess we call life. No Jesus, no Holy Spirit, no help getting through the mess. Christian, don’t be so earthly minded, you’re no heavenly good. I’ll be working on it, too. After being criticized on Facebook for disparaging the movie The Shack based on reviews without having seen it myself, I went and saw the movie this morning. Most of my criticisms stand, although I did see a positive side as well. First, the positives. The movie is definitely a “feel good” story. It does a very good job of walking through the process of forgiveness. The main character, Mack, learns to forgive the perpetrator of a horrific crime. He learns to forgive himself for allowing the incident to happen. And he learns to ask forgiveness from others. The movie could be beneficial for a person who struggles with forgiveness of others, or with being forgiven by others. For the most part, the movie portrayed Jesus Christ fairly well. The Jesus character is portrayed as a middle-eastern man, which is much better than how Jesus is often portrayed in films as a blonde-haired, blue eyed Caucasian. Jesus is shown as both fully human and as Creator of the Universe. Jesus is also correctly portrayed as the Son of God, although this aspect is not well explained or emphasized. The movie also does a good job of expressing the absolute love of God. All three Persons of the Trinity are portrayed as omnibenevolent. It shows how the love of God is unconditional and extended to everyone. For a person who struggles with whether God truly loves them, this film might help them to begin to grasp God’s unfathomable love for each of us. The positive aspects of the film are unfortunately greatly diminished by some extremely bad theology. God the Father is portrayed as a black woman by the name of Papa, and the Holy Spirit is portrayed as a young Asian woman by the name of Sarayu. Papa is the name Mack’s wife uses to refer to God. The name Sarayu comes from the Sanskrit language, and means “air, wind, that which is streaming.” In the Bible, neither God the Father nor the Holy Spirit take on human form; and neither are of them referred to a female. Describing God as female is taken from any number of false religions, including the Canaanite goddess Asherah, the Roman Venus, the Greek Aphrodite, numerous Hindu goddesses, and modern Paganism. Describing God as a human woman is to make Him into a false god, which is blasphemy. Papa explains to Mack that the reason He appears to him as a woman is because Mack wasn’t ready for Him to appear as a man. Later in the film, Papa changes to an older man, because Mack needed a father at this point in his journey. The notion that God changes to meet our needs is unbiblical. God is unchanging (Malachi 3:6). The perfect, sovereign, holy God does not alter Himself to meet our needs. He does not submit to us; rather, we are called to submit to Him. In The Shack, God never judges sin. At one point, Papa tells Mack, “I don’t need to punish people for sin. Sin is its own punishment, devouring you from the inside. It’s not my purpose to punish it; it’s my joy to cure it.” This contradicts one of the central themes of the Bible. God judged Adam and Eve in Genesis 3. He judged Cain in Genesis 4, and the entire world in Genesis 7. Throughout the history of Israel, God judged many individuals and many nations, including Israel. In Revelation, God judges all who do not have their names written in the Book of Life, and casts them into Hell with Satan and the demons. Most importantly, God judged sin and placed it on Jesus Christ. It is through the blood of Jesus that we are forgiven for sin. To claim that God never judges sin is to deny the very foundation of the Gospel. Another major problem with The Shack is universal salvation. Everyone gets saved. Papa states that all people are her children. This is unbiblical. John 1:12 states that people become the children of God when they receive Him; 1 John 3:10 calls some people “children of the devil;” and Romans 9:8 declares that not all are children of God. Because Papa doesn’t judge, she also doesn’t require repentance. The biblical God does require repentance (Ezekiel 14:6, Matthew 9:13, Luke 13:5, Acts 2:38, Acts 3:19). In the world of The Shack, everyone goes to Heaven. There is no Hell. Again, this is unbiblical and undermines the Gospel. 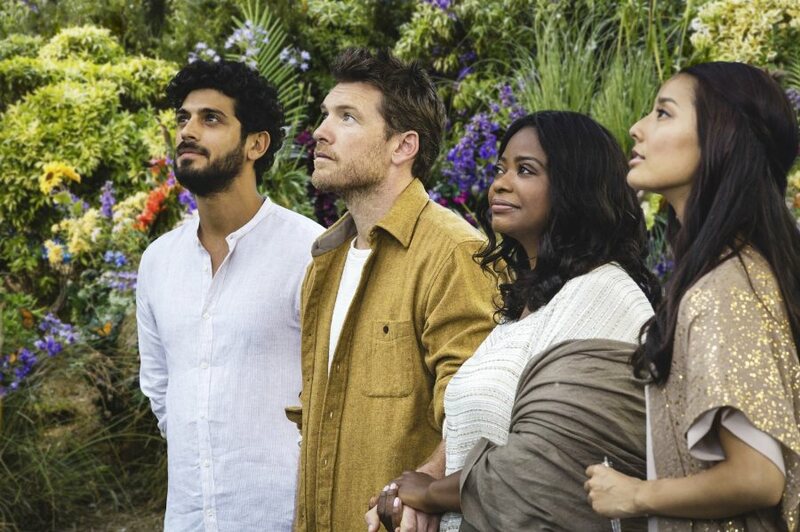 The Shack portrays Jesus, Papa, and Sarayu as being completely loving and accepting, to the exclusion of other attributes such as being holy, sovereign, and just. God is limited by His love, and therefore cannot administer justice. This is a false dichotomy. It’s not a matter of either God is loving, or He is just. He is perfectly both. The Bible describes God as being unlimited by His love (Psalm 103:11), and perfect in His justice (Deuteronomy 32:4). God’s love does not limit His justice. One of the major themes of the film is the question of why God allows evil, suffering, and death. Despite the centrality of this theme, the question remains largely unanswered. Papa skirts the issue by explaining that evil is the result of human free will. What is missing is the biblical explanation, that sin, pain, suffering, and death can be traced back to Adam’s sin in the Garden. God created a perfect world, but sin brought the curse of evil. Also missing is the role of Satan and the demons. Because The Shack rejects God judging sin, it also rejects the role of original sin as the cause of evil and death. Romans 5:12 tells us that “through one man sin entered the world, and death through sin, and thus death spread to all men, because all sinned.” This is completely missing in the film’s treatment of the issue of evil, leaving the question mostly unanswered. In the movie, Papa has nail scars on her wrists, indicating that she was also crucified. This is not in the Bible. Jesus tells Mack that he is “the best way any human can relate to Papa or Sarayu.” In the Bible, Jesus is the ONLY way to God (John 14:6), not just the BEST way. The film uses the image of a garden with a tree in the center – an obvious allusion to Eden. But, instead of being perfection, the garden is in seeming disarray, representing Mack’s life. And the tree symbolizes redemption, not the Fall. At one point, the biblical God is equated with the Native American Great Spirit. Biblically, these are two entirely different entities, with the Great Spirit being a false god. My reaction to the film is influenced by my own personal faith journey. I grew up believing in a god very much like Papa in The Shack. The god I followed was completely loving, to the exclusion of justice. My god would never send anyone to Hell, because my god loved everyone, and made us the way we are. I believed that while Jesus Christ was probably the best way to god, all religions pointed to god. What I didn’t understand was that my god wasn’t real. I had created god in my own image. My god was mostly there to make me happy. While I thought The Shack taught good lessons on human forgiveness, because of the theological train wreck that permeates the film, I cannot recommend it. It points to a false god as our hope for peace and forgiveness. For someone who struggles with forgiveness and whether God truly loves them, the film might give them some insight, but with a dangerous risk. Embracing the false god of The Shack is a false hope. Only the true God can offer eternal life through the blood of Jesus Christ. A god like Papa can make a person feel good about themselves and others, but cannot save us from our sins. And that is damnable heresy. I used to think that the United States was teetering at the edge of disaster. I no longer believe this; we’ve deliberately jumped off the edge and are plunging toward destruction at the bottom. Bush and Obama are not what caused this; they are merely symptoms. And neither Trump nor Clinton can save us. The United States was founded on Biblical principles. For the most part, we followed Jesus Christ and built our values around the Word of God. Although evil has always existed in America, we knew it was evil, and most of us worked to get rid of the evil. Today, we’ve mostly rejected Jesus Christ. We follow whatever we want to follow, and embrace evil as “diversity” or “protecting our rights.” The American Church, for the most part, embraces behavior that the Bible clearly labels as sin, and claims it’s the only “loving” thing to do. Although the prophet Isaiah was talking about Israel, he pretty much nails the situation in America today: “Woe to those who call evil good, and good evil; Who put darkness for light, and light for darkness; Who put bitter for sweet, and sweet for bitter!” (Isaiah 5:20). Their carcasses as refuse in the midst of the streets. (Isaiah 5:24-25). This year’s Presidential election only confirms my belief. We the people have selected the two most corrupt, evil candidates in American history as our Democratic and Republican nominees. It doesn’t matter which one is elected; either way, we’re putting an evil person into the highest office in the land. Many Christians are saying, “Yes, Hillary’s evil, but at least she’s not Trump,” or “Yes, Trump’s evil, but at least he’s not Hillary.” And they’ll go on to talk about what will happen to the Supreme Court and Congress if their candidate isn’t elected. I’ve got a news flash for you, Christian: Either way, we put evil into the White House. Either way, God is judging us for our lack of faith in Him. Either way, we are plunging to our destruction. And either way, nothing will stop the destruction other than repenting, and once again turning to Jesus Christ, rather than trusting in ourselves. This election is not about whether Trump can save us from Hillary, or Hillary can save us from Trump. It’s about whether we continue trusting our politicians to save us, or once again turn to Jesus Christ for salvation. I fear America is about to crash and burn. Then, out of the rubble, God can make us His people again, if we so choose.